Now that summer vacation has begun we have to fight the battle of how the children spend their days. The boys are going to day camp, so my 6 year old daughter saw her opportunity for fully monopolizing the computer. She has her time, but she also has to do things according to our terms. She has some tasks to go through in the morning before she gets her play time. Today she disregarded all her tasks. She wanted to be on the computer, and she wouldn't eat her breakfast, or brush her teeth or change her clothes. She had seated herself down in front of the computer, and she wasn't moving. I tried to approach her, but she yelled for me to back off. She seemed like she had the upper hand and was fully in control. So I threatened to turn off the computer using. No I wouldn't wrestle the computer away from her or pull the electrical plug out of the wall. I just waved the iPhone and she shuddered. I had ...Teamviewer. 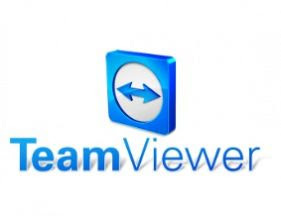 TeamViewer provides fast and easy remote access to computer systems. It's also free. After setting it up on the target computer, and configuring the app on the phone, you are in business to remotely control your home computer. You can even turn off the computer or lock a user out with just the flick of a finger on the iPhone screen. She jumped off the chair and left the computer. She gave in, ate her breakfast, brushed her teeth and got ready for her day.